Head over to get this Little Live Wrapples – Flutta for ONLY $8.45 (Retail $14.99)! 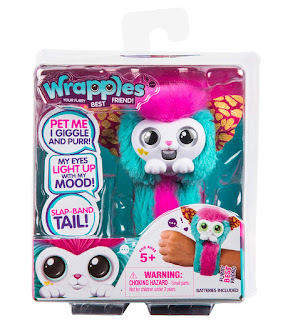 Wrapples are the cutest "Furry Best Friend" you'll ever connect with! Wrap them on your wrist and take them anywhere. They love a pat and interact as you chat, play and get carried away! These adorable little friends have over 50 sounds and reactions! Watch as they come to life on your arms. Their big eyes light up to match their mood. Bring them close to each other and they will sing together! Wrapples can't wait to hang out with you!